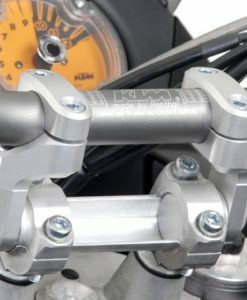 In this handlebar riser review we evaluate what type of riser to choose to ensure your handlebars are at the correct height. 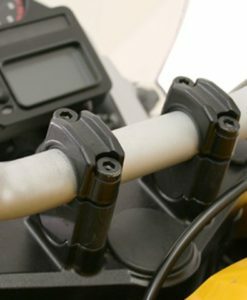 The combination of off-road and on-road riding permutations demand that your handlebars are at the proper level and position. 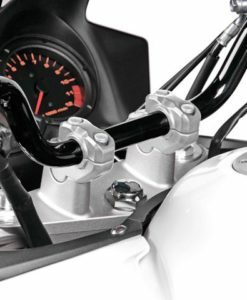 A motorcycles standard handle bar configuration often does not take this into account. 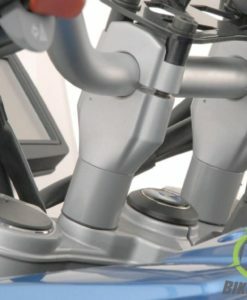 Furthermore no two riders are the same size or proportion. It is important then to ensure that one tailors ones riding position. 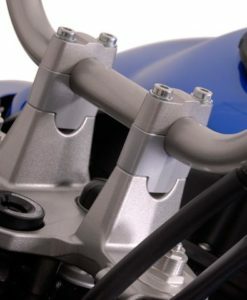 To this end handlebar risers are the answer and contribute to a more upright riding position. 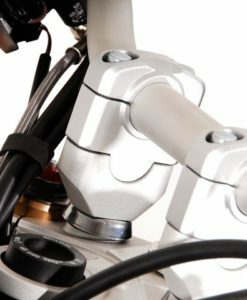 Such a riding position relieves neck, shoulder and wrist discomfort and contributes to a trip that is more comfortable, safer and less fatiguing. 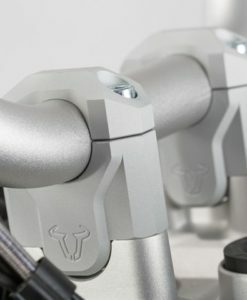 SW-Motech Handle bar risers are available in 2 permutations (30 mm upright and Vario Barback) and are CNC machined in Germany to precise specifications from the highest quality billet aluminium . 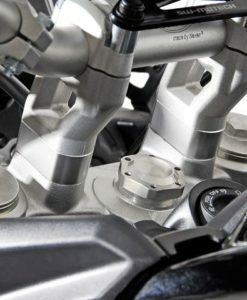 Full German TUV certification is also included. 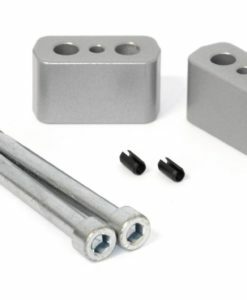 A cost effective , quick and simple solution. 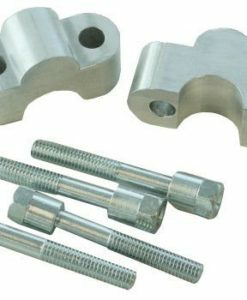 Suitable for all dual purpose and other motorcycles . 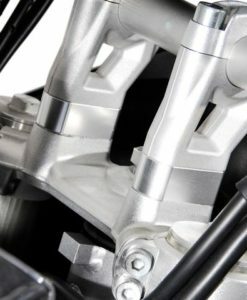 NOTE: Brake, throttle and clutch cable length varies from bike to bike. 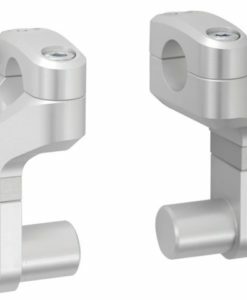 To this end we have found that a 30 mm riser is suitable for the majority of models. 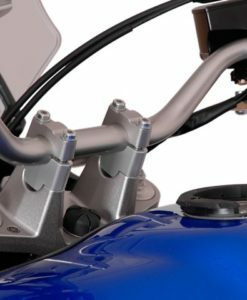 Anything higher than this normally requires longer cables. 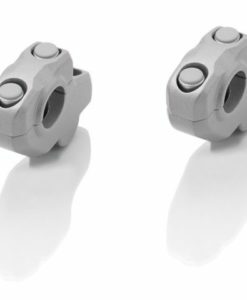 We do not therefore stock or advise the 50 mm risers in the compatibly chart. 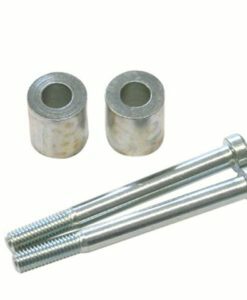 These are however available on special order. 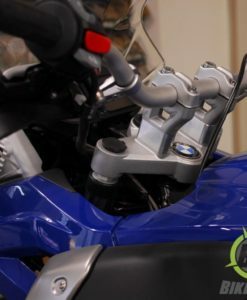 Vario Barback Risers are selectively adjustable forward and back as well as 40 mm to 50 mm in height, allowing for almost limitless permutations. 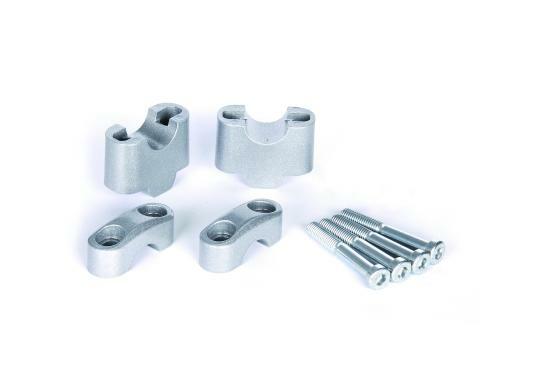 If you are looking for the utmost versatility then these are for you! 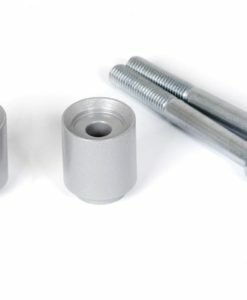 Available for both 22 mm and 28 mm diameter handlebars. 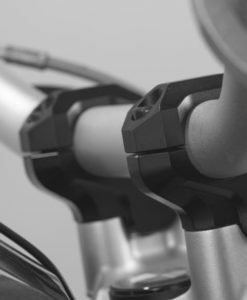 Handlebar Riser by SW-Motech provides a 30mm rise in handlebar mount height. 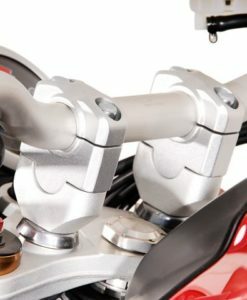 30 mm Handlebar Riser by SW-Motech fits bikes with 28,6 mm handlebars. 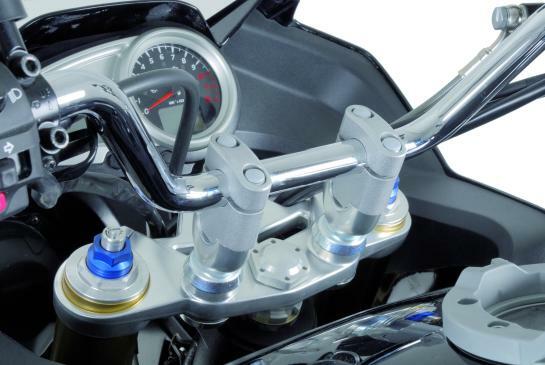 40 mm Bar Riser by SW-Motech raises the handlebars by 40mm to optimize the sitting position. 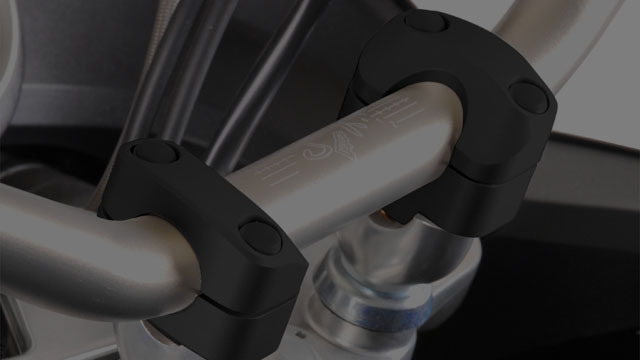 Barback Handlebar Kit by SW-Motech adjusts your handlebars for more comfort during longer trips. 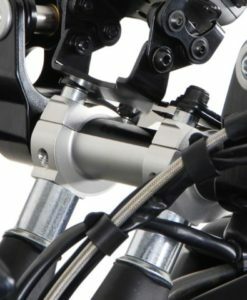 With SW-Motech Handlebar Riser no modifications of brake lines are necessary for installation. 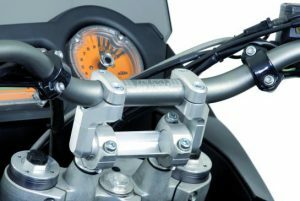 SW-MOTECH Handlebar Riser Set raises bar by 30 mm and optimises the sitting position. 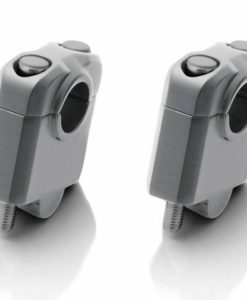 Handlebar Risers provide a more upright, comfortable riding position. 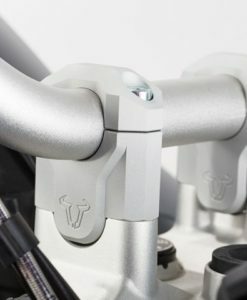 SW-MOTECH Handlebar Risers provide a more upright, comfortable riding position. 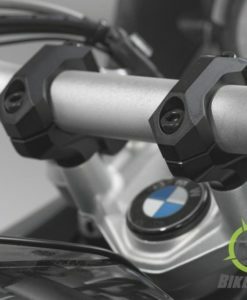 Triumph Tiger Handlebar Risers by SW-Motech adds an additional 20mm of rise to the bar height without changing of control cables.